First Holy Communion is an important celebration. First Communion is an important ceremony in the Catholic Church. 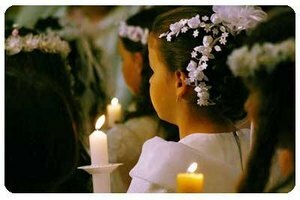 Generally, children between 7-8 years old will celebrate their first Holy Communion, which is the first time they will participate in the sacrament of the Holy Eucharist, or the sharing of the bread and wine. 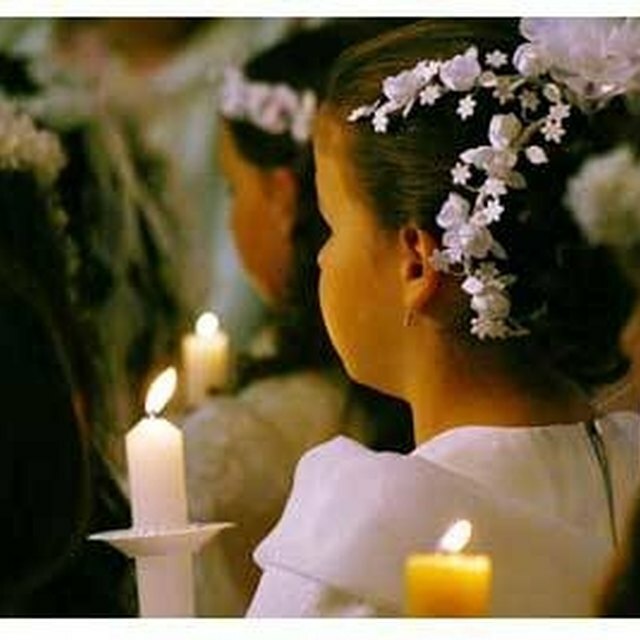 In Western civilizations, first Holy Communion is an important family celebration and children will receive religious instruction prior to the event. Girls will generally wear white communion dresses and veils as symbols of their purity and religious devotion, while boys will be dressed formally with a standard tie color, such as red. Children participate in First Communion from the age of 7. Many Catholic churches will offer an annual, communal first Holy Communion service to all qualifying parish children. The church may offer regular catechesis prior to the service, in order that the children are well-prepared for the event and ready to partake in the ceremony. The Catholic Church believes that any baptized person must be allowed to partake of Holy Communion. The Vatican has also ruled that prior to celebration of first Holy Communion, all children should have participated in confession. A communal First Communion service will be anticipated as a day of joy by the whole congregation. The parishioners will be familiar with the children celebrating their first communion and will do their best to make this a day to remember. Generally, the service will be part of the normal Sunday Mass, but could include a procession of the first communicants, or a gathering of the communicants prior to their participation in the Eucharist. Very often, the children participate in the Mass by carrying out all of the readings, prayers and bidding prayers. The first communicants usually take the Eucharist before the other parishioners. A rosary is a common gift for children celebrating First Communion. Families of the first holy communicants celebrate the day as an important milestone in their child's life. They are encouraged to invite other family members to celebrate the occasion and may be allocated a family pew for the event. 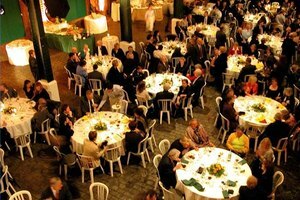 It is quite common for the family to throw a huge party after the Mass to continue the celebrations. Very often, family and friends will give small religious gifts to the children, such as rosaries or Bibles. Family photographs are a common tradition of First Communion. The parents of the first communicant children will often be heavily involved in the service for First Holy Communion. They may decorate the church with flowers and arrange for a photographer to take a group photograph of the participating children. Family photographs are a common feature of the First Holy Communion tradition, both inside and outside the church. Very often, the service will be followed by a shared table or feast for the children and parishioners. Much of the food will be provided by the parents and friends of the children celebrating their First Communion. The children may share the top table and be served food by the parishioners and all members of the parish will participate in this celebration. Denmar, Dawn. "What Happens During a First Communion?" 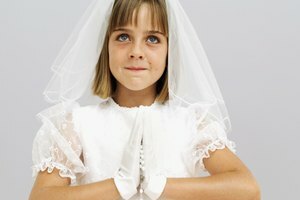 Synonym, https://classroom.synonym.com/what-happens-during-a-first-communion-12085428.html. 29 September 2017.